This Christmas after years of using my brothers DSLR for blog photos and never quite getting the hang of it, I decided to take the plunge and ask for the Olympus PEN E-PL8. I’ve had a few weeks to play around with it and today I’m going to give you my initial ‘first impressions’ before a full review later on down the line! You can tell why this camera is considered the blogger’s camera. I opted for the white and cream version which is just beaaaautiful. Of course the camera is smaller than my original Nikon D3100 – something which really drew me to this camera. I’m eager to get hold of something smaller to have in my bag all the time to capture those unexpected moments and this will do that perfectly. The weight of the camera is fairly light, easy to carry around all day but I wouldn’t recommend this for vlogging – I definitely think there are lighter, and more suited camera’s on the market for that. I got the 14-42 EZ Pancake Zoom Kit after reading up that this was the best starter lens, and the most versatile. This is such a brilliant lens – and takes amazing quality photos – just as good, if not better than my DSLR. You can get some depth of field with this lens if whatever is in the background is far enough away, but I’m hoping to invest in the 45mm Lens soon to really get that blurry background in my photos – especially my outfit shots. I’m no photographer. Over my time of blogging I’ve got to understand the very basics of photography – ISO, F-stop, Aperture, but even now this stuff confuses me no end. I’m hoping now I have a camera that is mine, and one that I actually want I can begin to focus on learning more about photography and develop my skills. But for now, I’ve found the pen really easy to get along with. I didn’t read any instructions, because who even does that anyway? And quickly worked out how to play around with the F-stop, Iso etc in order to edit the colouring etc. Something I really love though, is if you’re not clued up with all that fancy jargon, there is a basic option to edit the brightness of your photo. This makes it so easy to have a nice clean, bright photo. Another thing that’s great about this camera, especially for bloggers is the flip out screen. 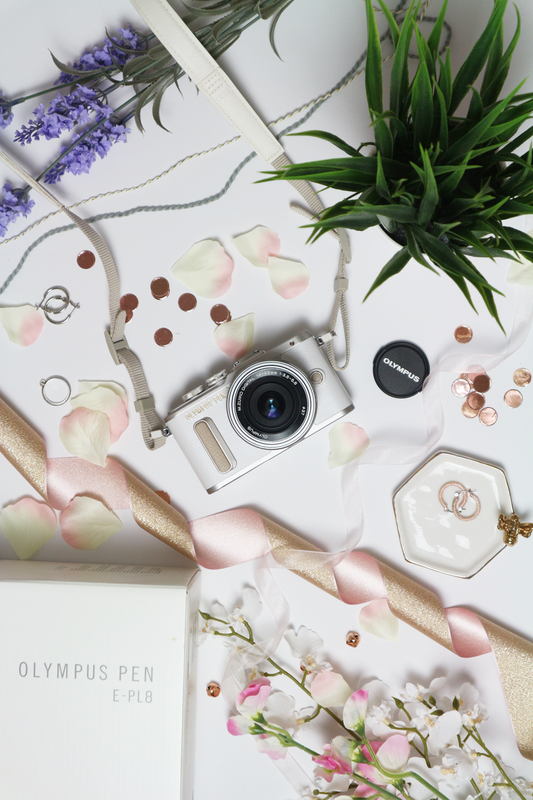 The screen comes out in a couple of different ways which makes taking flat lays a dream! No more climbing over the camera with a horrible resulting back ache for me! The only thing I would say about this aspect is the fact it only flips all the way over underneath the camera, not to the top. I think if you were a vlogger, or wanted to see yourself on the screen while filming, it would be favoured for the screen to be above. But again, this isn’t a camera for vloggers especially, so isn’t much of an issue for me. Finally, the camera is connected up to wifi – something I absolutely love. Download the Olympus app and you can connect the camera and phone up. So far I’ve only used this feature to view the photos on my phone, before uploading to my laptop. This makes the process so much easier, and I find it really handy to see my images on another screen as opposed to the camera screen because they don’t always look the same! Overall, I am so happy I’ve finally got my hands on this camera. It does absolutely everything I want it to do and with a little more practice I’ll hopefully be producing some really great photography! The camera currently retails for around £450, which can be quite an investment, but Cash Lady is able to help if you’re looking for a short-term loan. 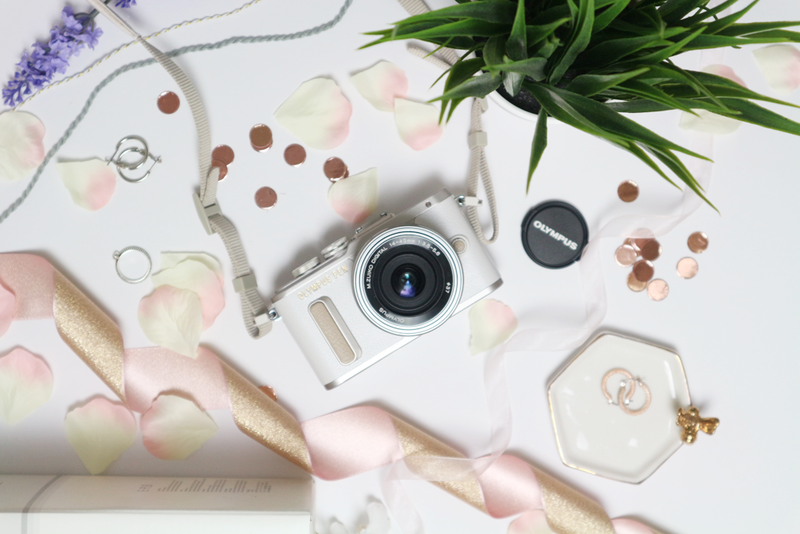 What camera do you use for your blog?